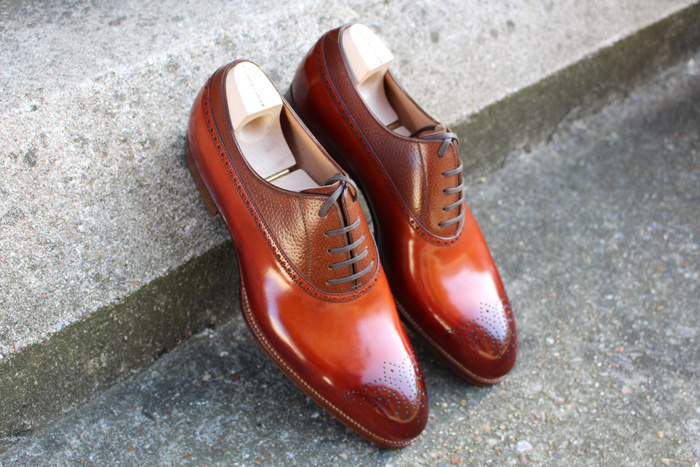 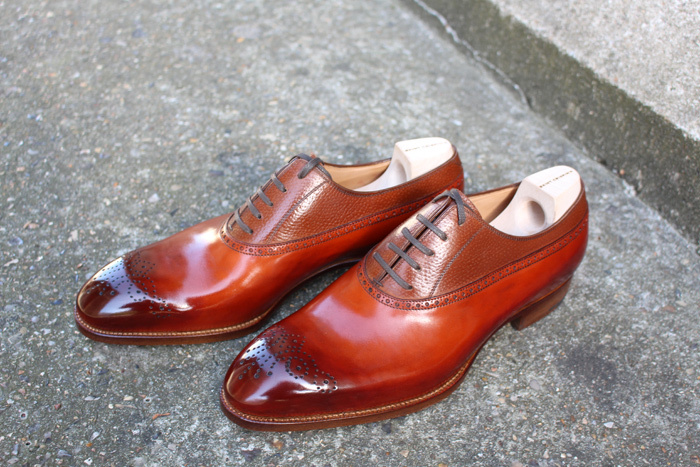 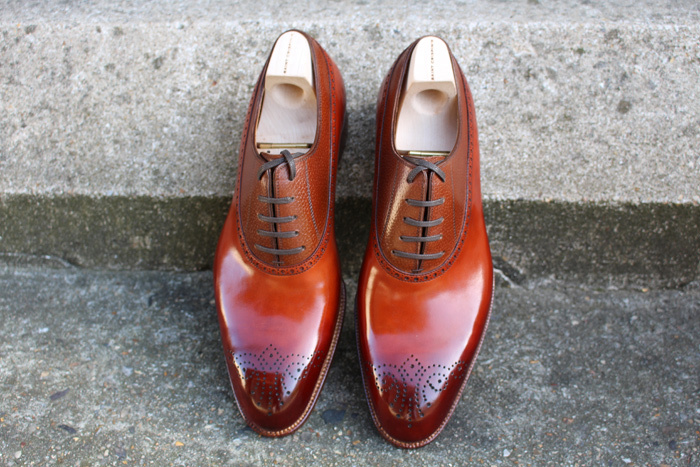 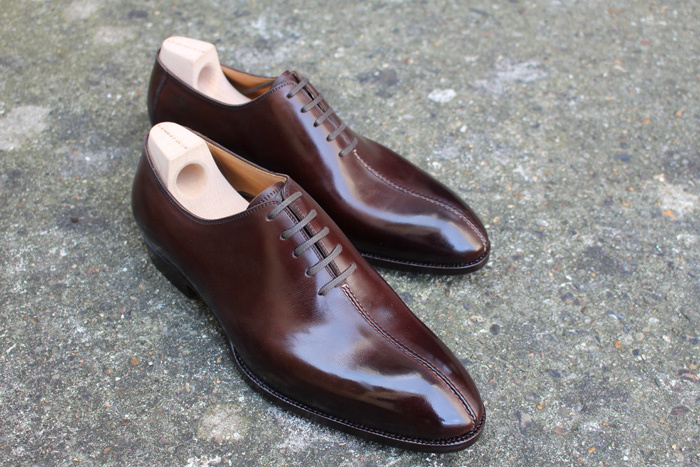 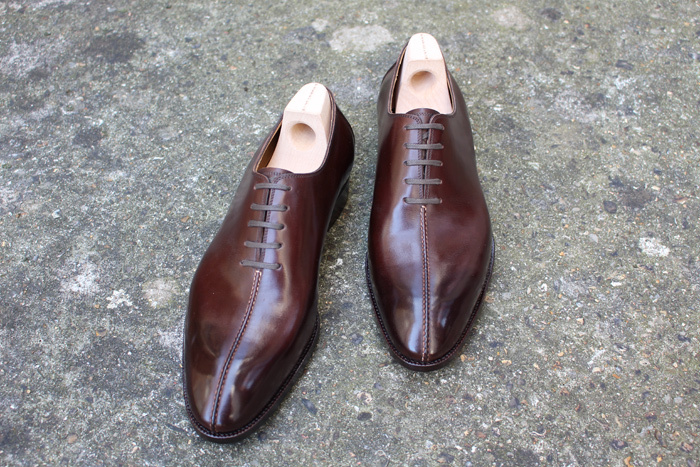 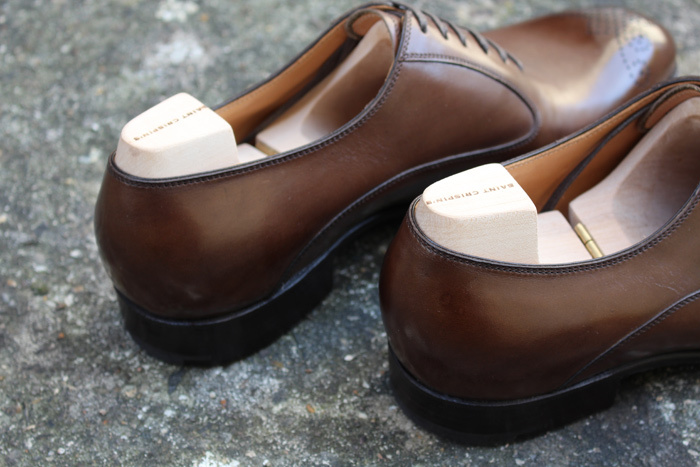 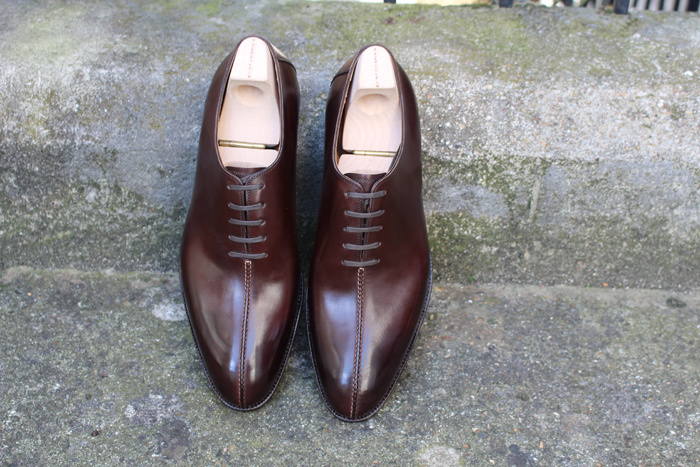 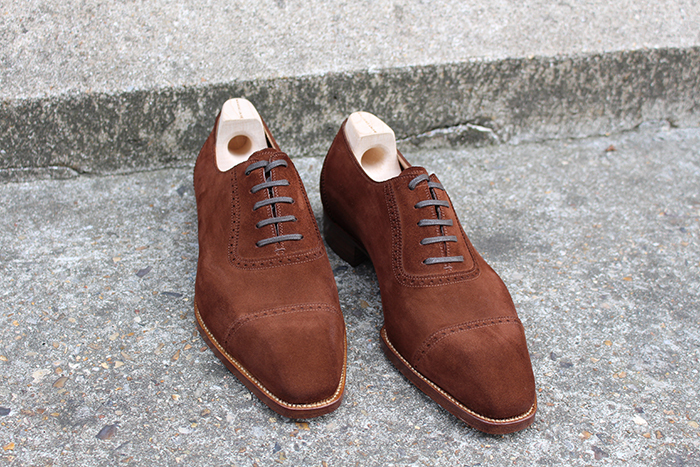 A classic Adelaide oxford shoe with a straight toe cap made in the “ Rust ” box calf suède. 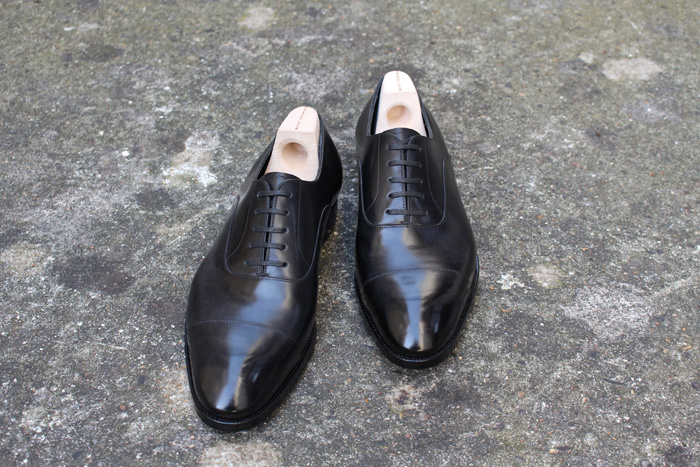 The 645 on the “ B chiseled ” last is a basic shoe in your wadrobe, contemporary and versatile. 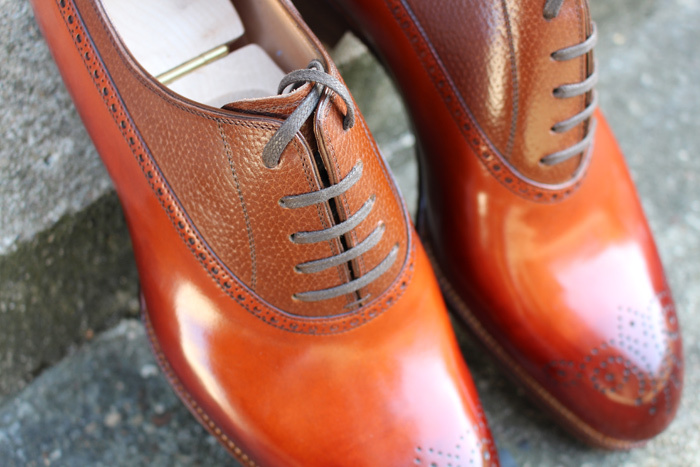 I have selected the « Inca grain » calf for the top part and the « red Cognac calf » for the rest of the shoe. 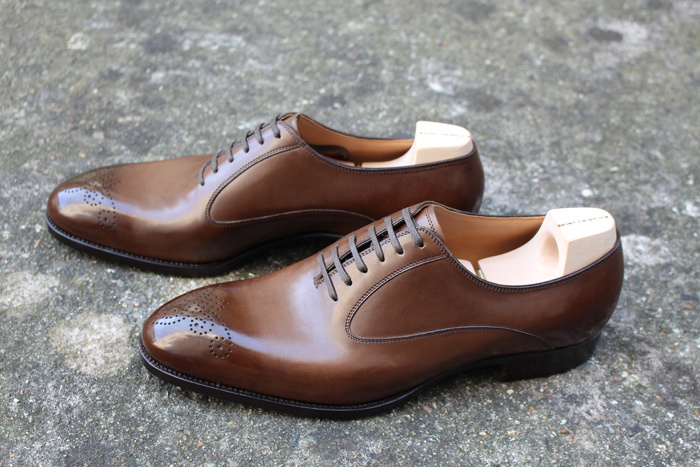 Lasted on the « Riva » with a distinctive plain toe & medallion. 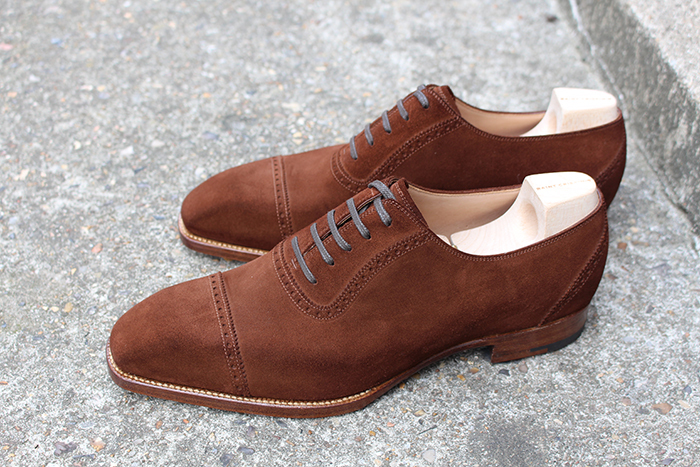 Versatile in your wardrobe, the 693 is an elegant shoe to wear in casual or semi-dress occasions. 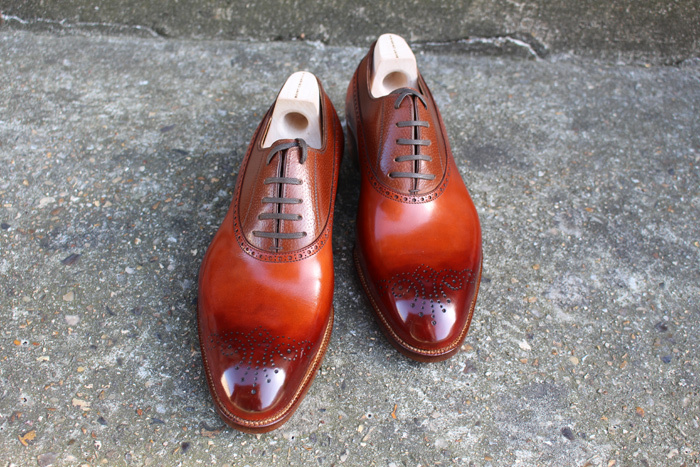 Oxford Saint Crispin’s “swan neck duct” with medallion. 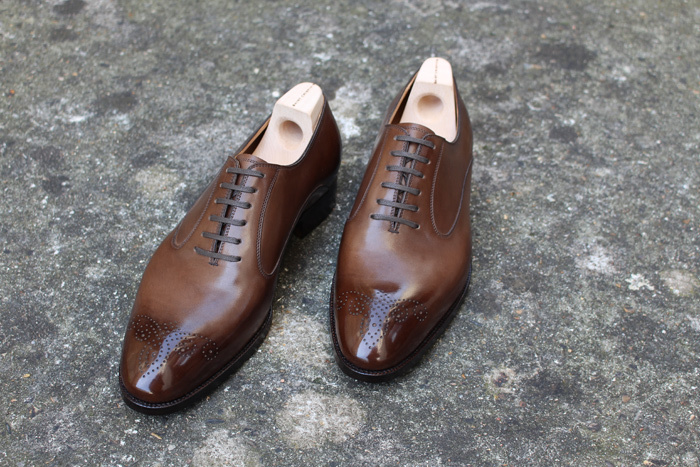 This model 660 has been made on the « Riva » last , in a rich, deep « Dark oak » box calf. 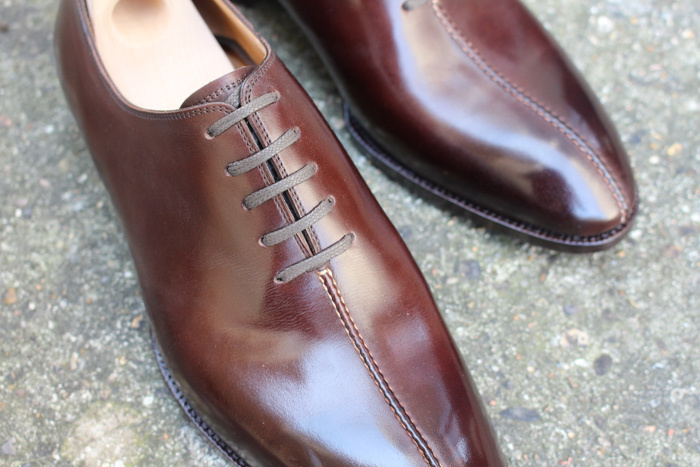 The quality and details of craftmanship on St Crispins footwear is always mind blowing (upper 2 pieces of leather only). 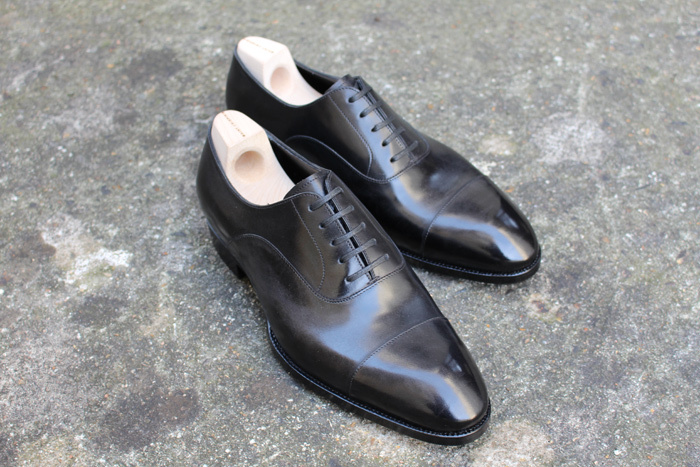 Model 529 – Oxford Cap toe – Black box calf – Saint Crispin’s. 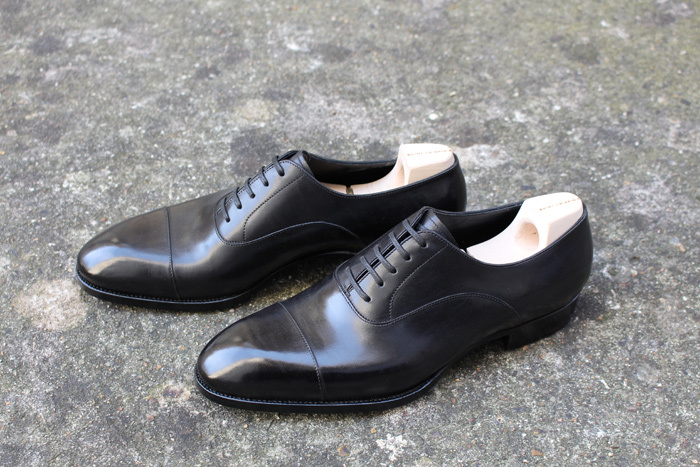 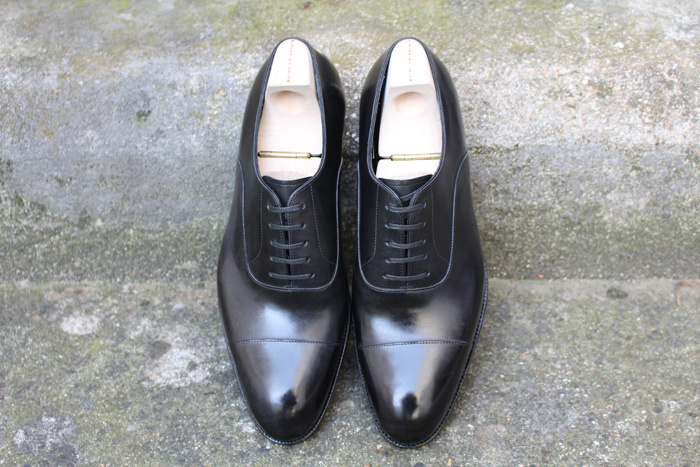 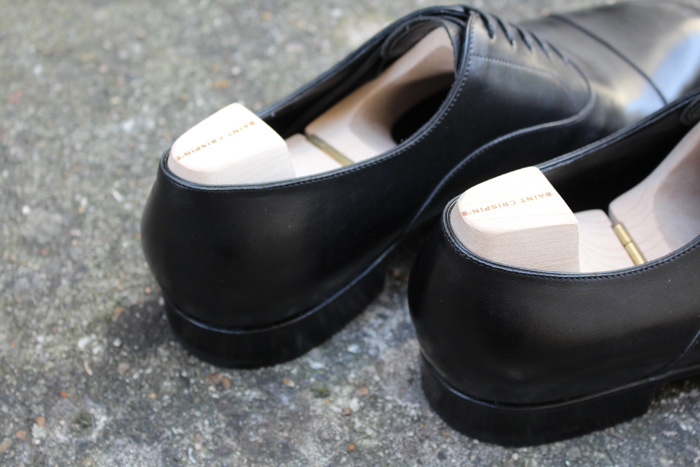 A straight tipped oxford shoe with a plain cap toe made in the « CRU Black » box calf. 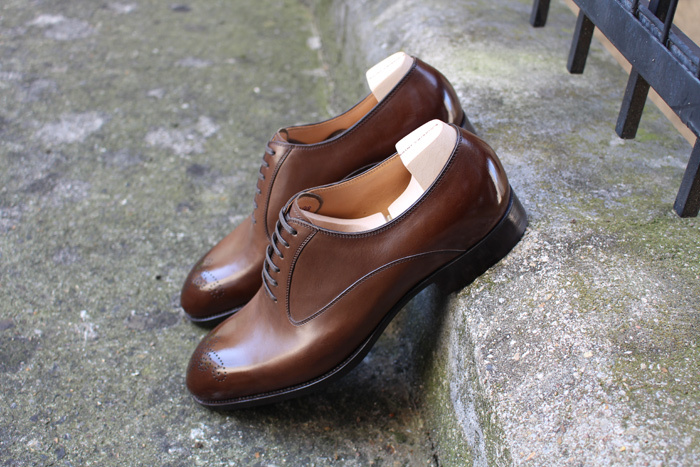 The 529 on the « Riva » last is a basic shoe in your wadrobe, classic and versatile. 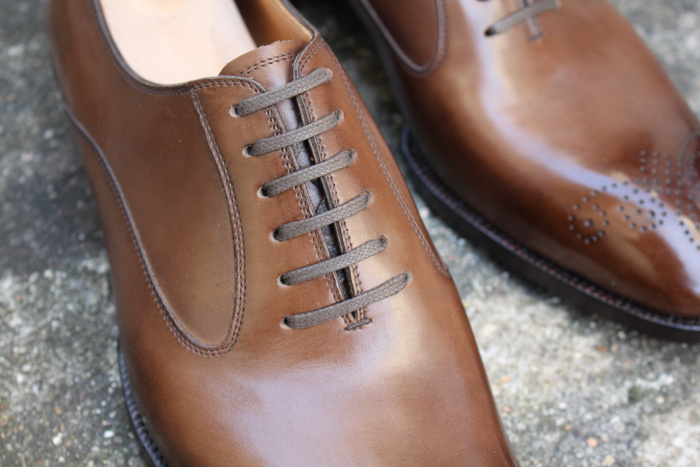 Exceptional not only for its unique style, but also by the work of craftsmen who realized by hand the stitching on the upper center.